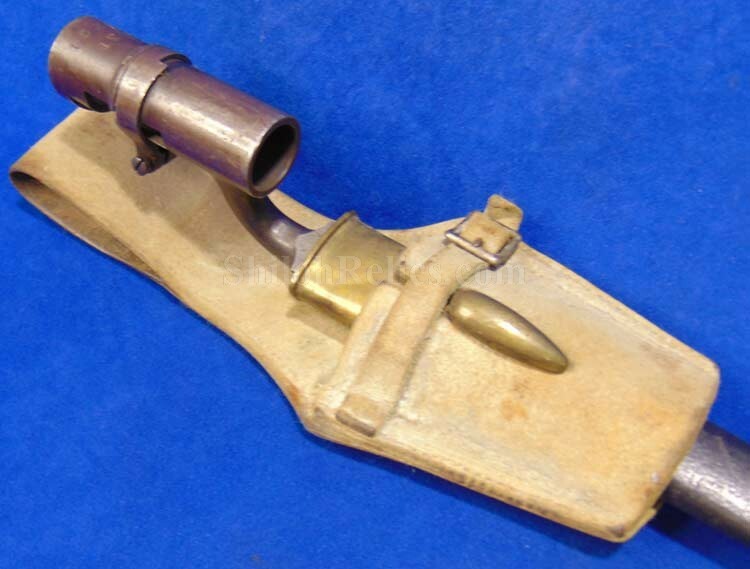 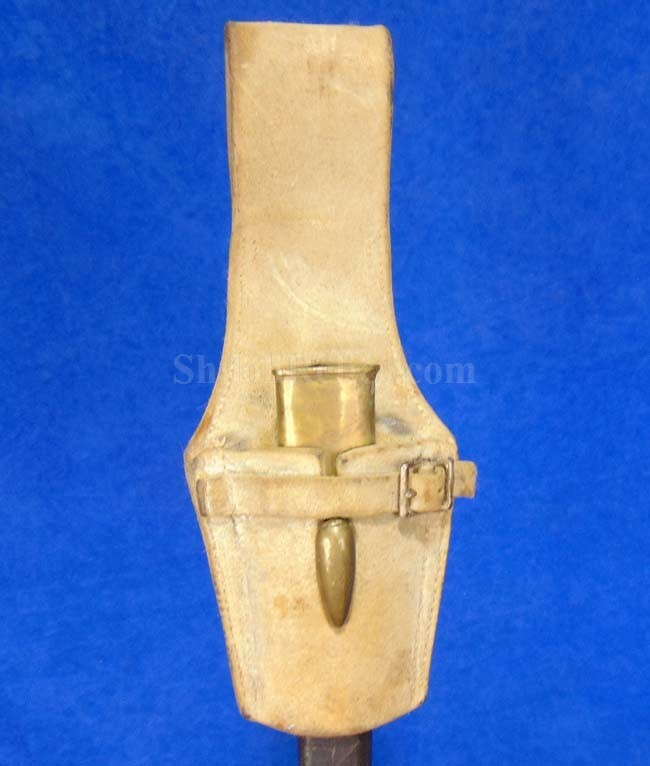 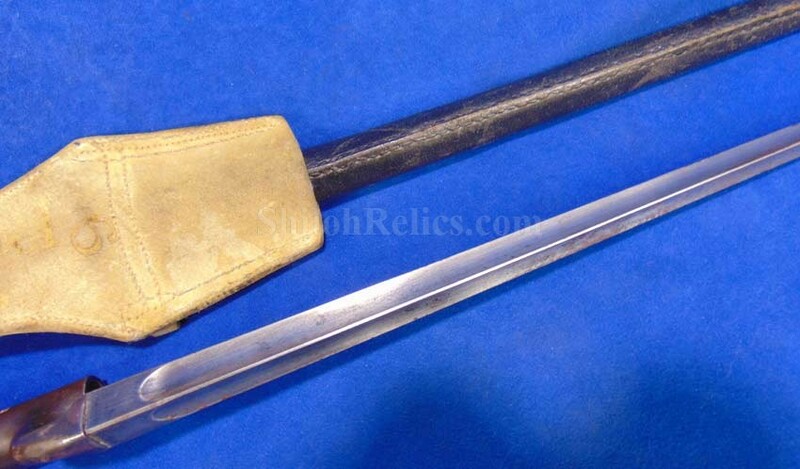 This is a very nice complete original socket bayonet & scabbard for the Civil War Enfield rifle. 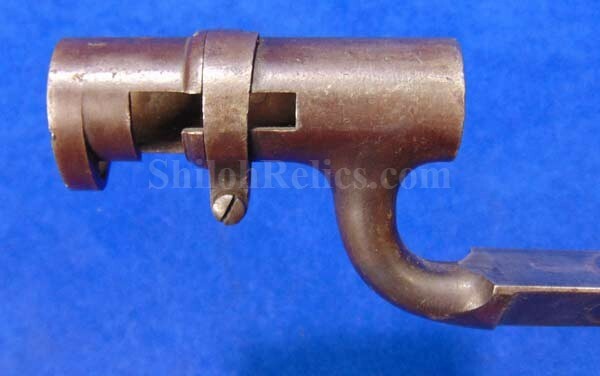 This is the .577 caliber version. 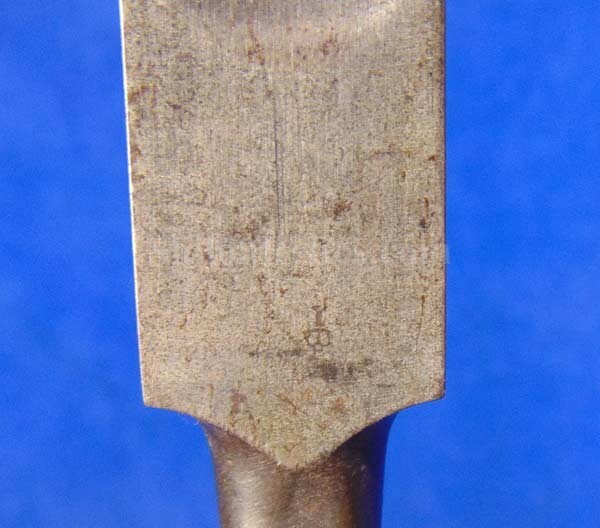 It has a nice full-length blade with a fine look and the base of the blade top has the remnants of the British crown stamp along with a regimental stamp. 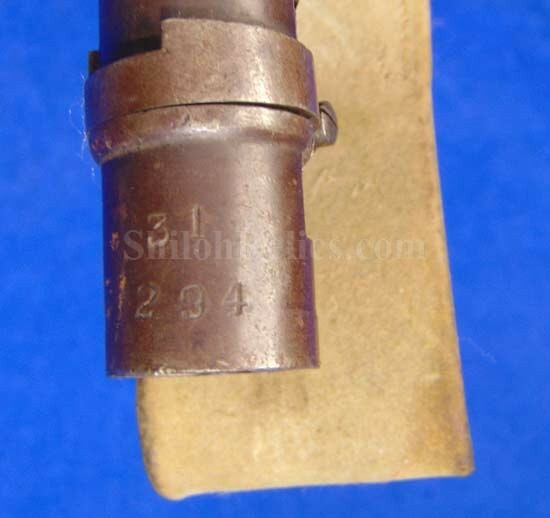 The socket is in fine shape and it has the original lockring and screw intact. 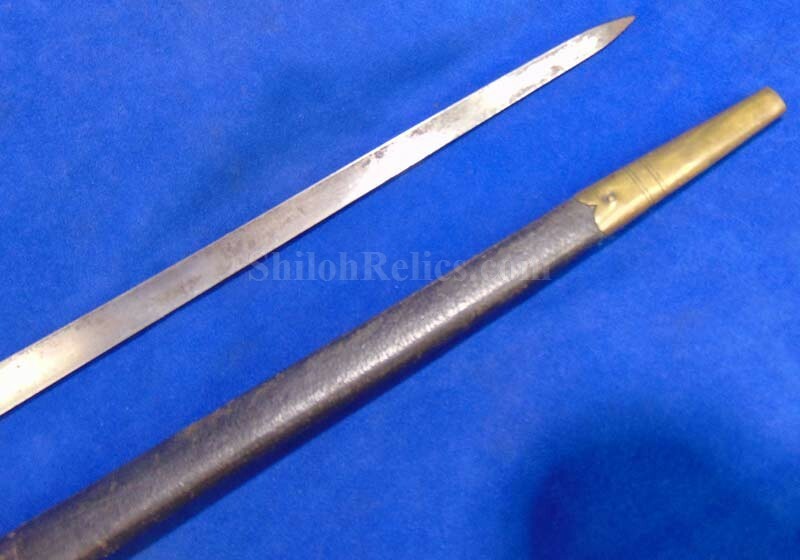 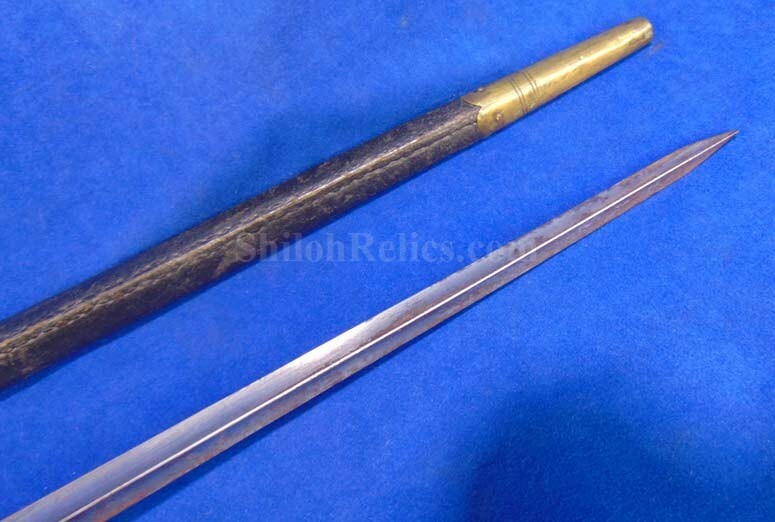 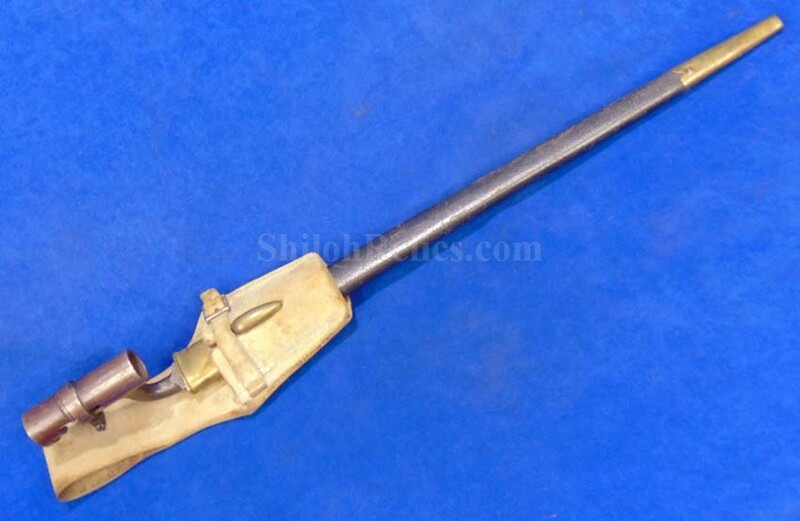 The bayonet is accompanied by the fine original scabbard that is complete with the brass top mount and drag. 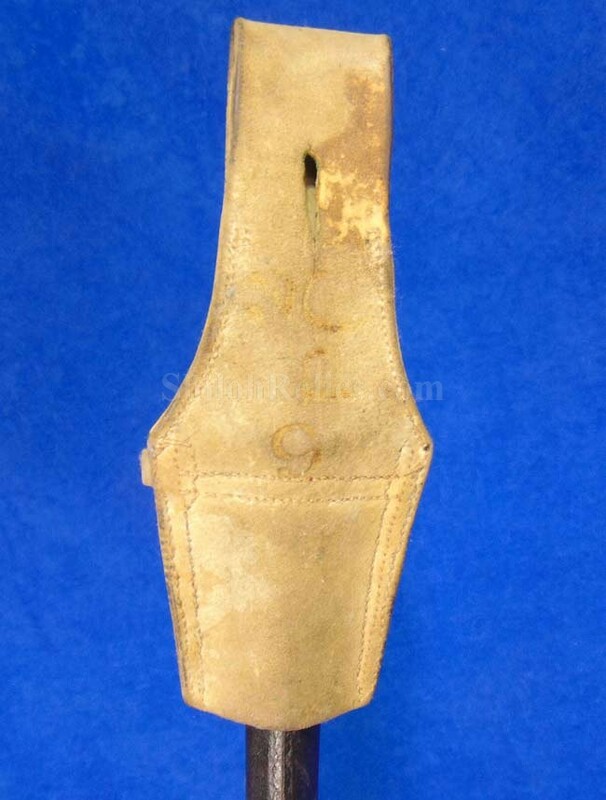 The leather is in very solid condition with a pretty black tone to the leather. 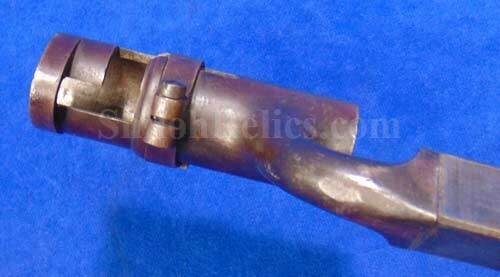 As if that wasn’t enough to knock your socks off it even has the original frog intact. 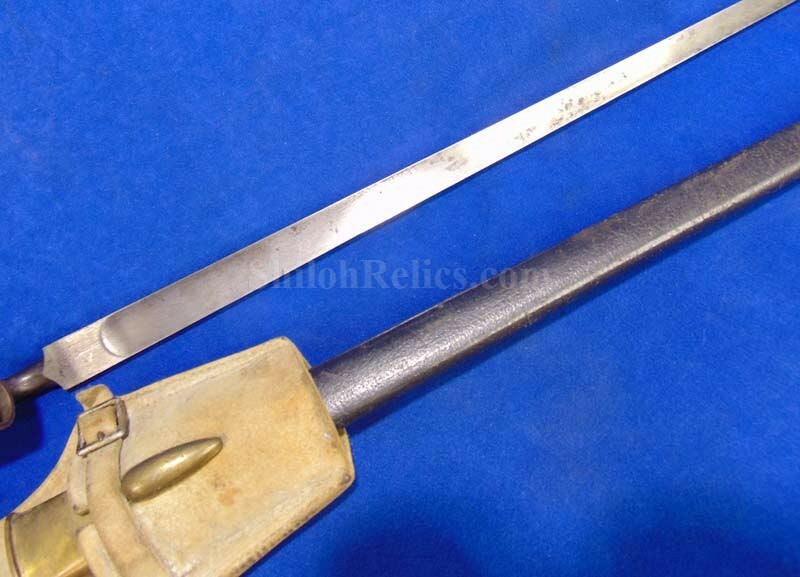 This is the piece that slid over the belt so the scabbard and bayonet could be carried by the soldier. 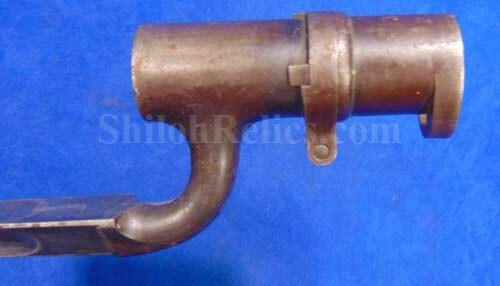 This piece would make a great addition to any Enfield rifle but remember that Enfields are hand fitted so they don't always interchange.